Are you plan to start your own retail food store business? if you’re an entrepreneur or mall kiosk business vendor, start your business from a small mall kiosk is a good Opinion. Small investments can get a big profit. In 2019, the most popular and hot sale business is ice cream service, especially in summer. 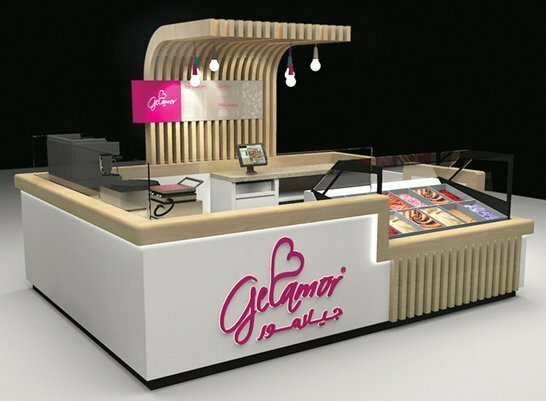 You do not need to gain much more experience, Start an ice cream kiosk in mall are just Very easy and low cost. 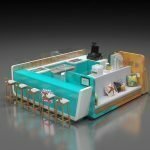 In this Page, the one I wanna share is a very nice soft ice cream kiosk design. Its style is very novel and attractive. Now pls follow me see more details at below. Size:4000X2500mm. if you need a custom size, just contact us. Color: white and brown wood grain. Service: soft ice cream, juice.coffee. crepe. Accessories: led light, acrylic logo, ceiling lamp. Used: shopping mall or food store. You can see the whole kiosk mainly tone is white and brown wood grain. the front part is a big soft ice cream fridge. match some wood strip and acrylic logo decoration. the left side is a wooden counter, can put your coffee machine, crepe machine on it. back side is a counter with cashier and cabinet. At the back sides is an “L” shape roof. match logo board and ceiling lamp. the whole kiosk counter bottom is hidden recessed white led light strip. looks very bright and attractive. If you need colorful led light with dimmable control, you will have it. 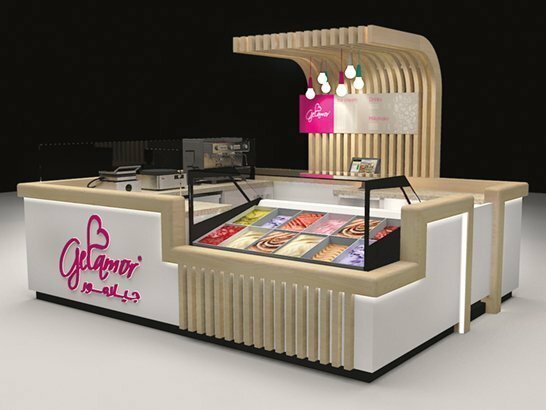 Because all of our ice cream display stands are customized. 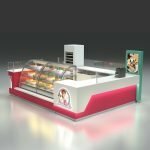 So, we can manufacture you dreamed display stall with ideal features. If you’re interested in customized a food kiosk like this one, it’s necessary to find us here. At first, you need to find a direct supplier help you make a 3d design, it can put all of your ideas on it, make it special and get the mall approval. 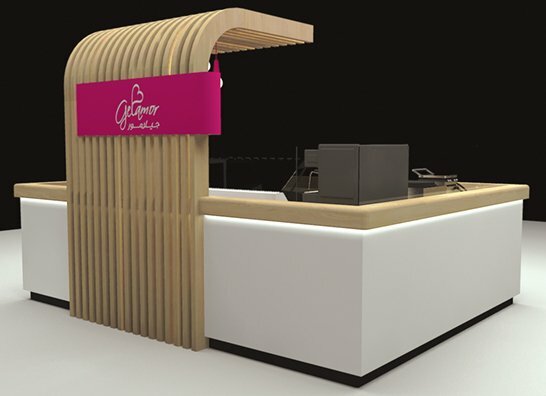 Uniquekiosk as a direct manufacturer we mainly work on the design and customized different types of retail food kiosk and display fixtures.hope this design is helpful for your business, further info, welcome inquiry!